About two weeks ago, I wrote about how an outbreak of measles traced back to Disneyland had sickened nine people, including infants who were too young to be vaccinated against the disease. Unfortunately, the outbreak has grown, and more than 40 people in four states have been diagnosed with the illness—including five Disneyland employees. Five employees were diagnosed with measles, and three of them have fully recovered, Disneyland says. "The measles outbreak exposure period of December 17-20 at the Disneyland Resort is over, and all cases from this exposure should have occurred by January 10, 2015," the California Department of Public Health says. "No new cases have been identified in guests who visited after that time period." 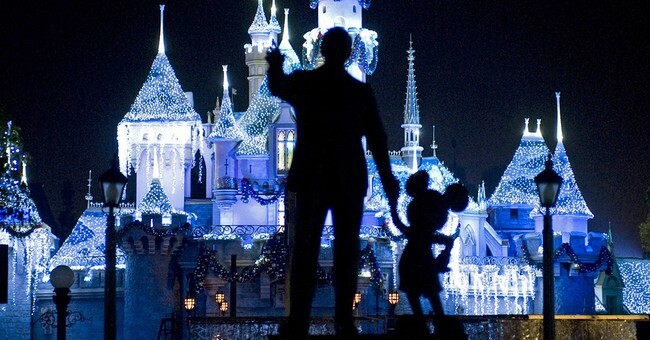 Disneyland said it was informed of measles cases among employees on January 15. This is really scary. Measles was eradicated in the United States in 2000, but has experienced a resurgence due to parents choosing against vaccinating their children against the disease. The year 2014 had a record-setting number of measles cases. Normally, children who are too young or too medically fragile to be vaccinated against diseases are protected by herd immunity, but herd immunity has been especially weakened in parts of southern California, where children in some neighborhoods are vaccinated at lower rates than impoverished African countries. Measles is incredibly contagious and spreads through the air, meaning that a place like Disneyland could result in hundreds of cases if vaccine rates continue to decline. The easiest way to protect oneself against getting measles is to get vaccinated as an infant. Vaccines are safe for the vast majority of people. While measles isn't a death sentence, it can result in serious complications—including pneumonia, deafness and brain damage. I feel blessed to have been born into a world where I don't personally know anyone who has been afflicted with measles or polio—but this could change if parents keep refusing to vaccinate their children. This outbreak in California should be a wake-up call to us all.